Concussions and, even lesser "subconcussive" head trauma, may speed up the brain's natural aging process says a recent study (1). Researchers from the University of Michigan School of Kinesiology and the U-M Health System looked at college students with and without a history of concussion and found changes in gait, balance, and in the brain's electrical activity, specifically in the areas measuring attention and impulse control. The declines were present in the brain injury group up to six years after injury, though the differences between the study groups were very subtle, and outwardly all of the participants looked and acted the same. Lead author Steven Broglio, Assistant Professor of Kinesiology and Director of the Neurotrauma Research Laboratory at UM, stressed that, at this point, the study is only advancing a yet-to-be-proven theory that concussions and head impacts may accelerate the brain's natural aging process. "The last thing we want is for people to panic. Just because you've had a concussion does not mean your brain will age more quickly or you'll get Alzheimer's," Broglio was quick to emphasize. "We are only proposing how being hit in the head may lead to these other conditions, but we don't know how it all goes together just yet." Broglio stressed that the influence of various lifestyle and environmental factors, such as smoking, alcohol consumption, physical exercise, family history (genetics), whether or not a concussed athlete "exercises" their brain, and even how dense the gray matter in a person's brain is, which gives them greater "cognitive reserve" to draw upon may also impact the brain's aging process, and that "concussion may only be one small factor." In addition, he said, this line of research is still in its infancy. "'It's not entirely clear," Broglio told the Kalamazoo News, "if and how the brains of young athletes are affected by the sports they play. 'We are realizing it's probably not how many concussions you have that makes a difference, but the total exposure' to concussive and sub-concussive blows." 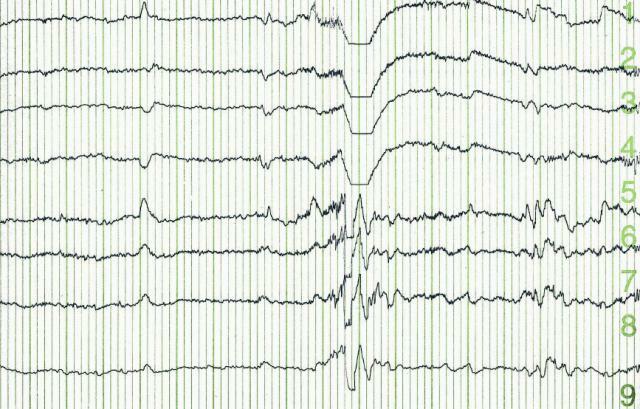 To begin to understand how concussions might impact brain activity and its signaling pathways, researchers asked the participants to perform certain tasks in front of a computer, while their brain activity was measured via electroencephalogram (EEG. The brains of the nonconcussed group showed a greater area of electrical activation than the participants with a history of brain injury. "What we don't know is if you had a single concussion in high school, does that mean you will get dementia at age 50?" Broglio said. "Clinically, we don't see that. What we think is it will be a dose response. "So, if you played soccer and sustained some head impacts and maybe one concussion, then you may have a little risk. If you went on and played in college and took more head balls and sustained two more concussions, you're probably at a little bigger risk. Then if you play professionally for a few years, and take more hits to the head, you increase the risk even more. We believe it's a cumulative effect." Does the average high school athlete face risks similar to those of former professional football players - such as those whose brains, upon examination after death, show signs of chronic traumatic encepholapathy (CTE), or who, even if still alive, exhibit signs of serious depression or early-onset dementia which researchers have linked to their years on the playing field? Broglio says that there is little to no evidence that they do. "We're not seeing an epidemic of men in their early 50s with early Alzheimer's because they played high school football," Broglio told a Michigan newspaper in commenting on the study.